Michigan is falling further behind its goal of becoming a top ten education state by 2030, according to a report issued last week by the Education Trust-Midwest. ETM’s analysis shows Michigan is experiencing systemic failure across racial and socio-economic groups, all across the state. In reading levels among fourth-graders, Michigan is now ranked 41st, down from 28th in 2003 and 38th in 2013. 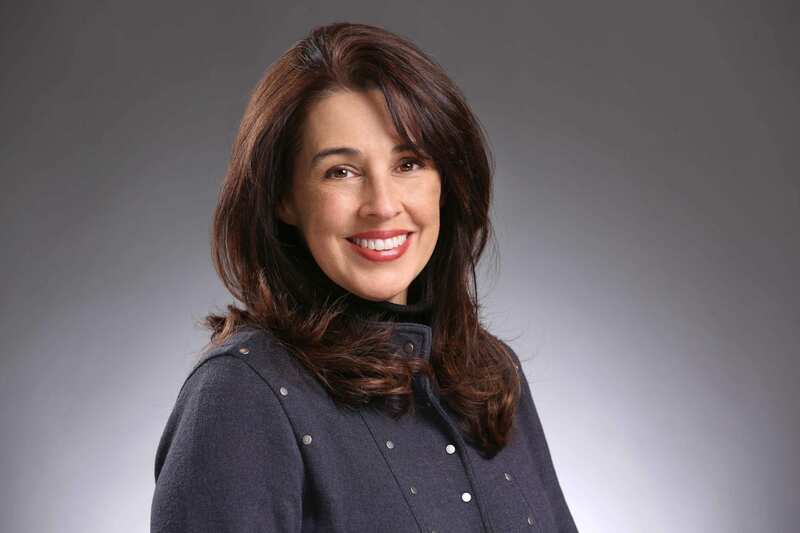 “Michigan’s educational crisis is also an economic crisis,” according to Amber Arellano, ETM’s executive director. The report, Michigan’s Talent Crisis: The Economic Case for Rebuilding Michigan’s Broken Public Education System, describes how improvements in education pay off economically. 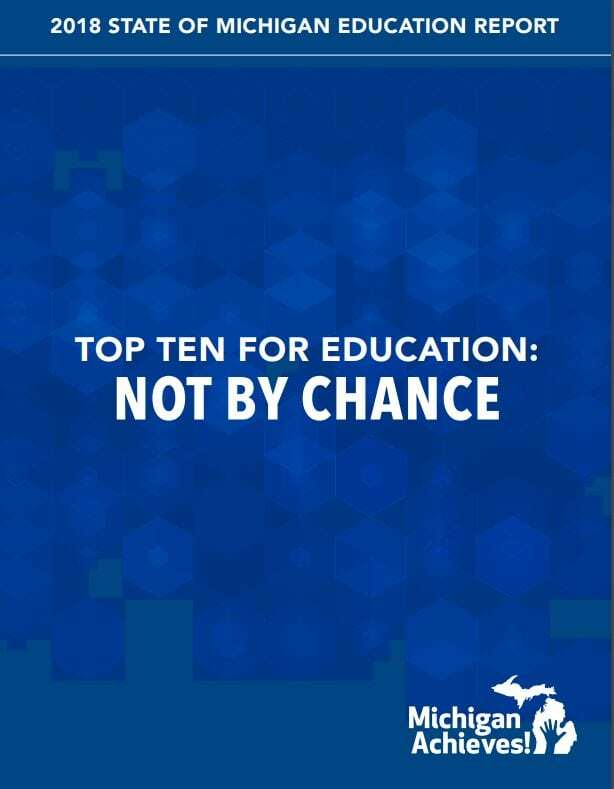 In addition to a comprehensive analysis of the status of education in Michigan, the new report outlines specific steps for Michigan based on strategies proven to work in other states. Especially needed is making sure that all students can read by the time they get out of third grade. “That’s where Michigan students are most in need of support and where investments in education are most cost-efficient,” Arellano says. Last year, ETM launched Michigan Achieves, a campaign to make Michigan a top ten education state by 2030. Michiganders interested in getting involved should visit www.michiganachieves.com. As states begin to look at how they will evaluate school performance under the new Every Student Succeeds Act, and how they will respond when schools are not doing well, one researcher has looked at one success of the previous legislation, No Child Left Behind. American University Professor Seth Gershenson found that under NCLB, teacher attendance in struggling schools actually improved. New — and largely ignored — research on those federally driven measures found that No Child Left Behind had an interesting impact on teachers in struggling schools: it pushed them to show up for work more often, he said. In schools that didn’t hit their yearly progress goals, Gershonson found that the average teacher was in attendance for one extra day out of the 180-day school year. This is a decent-sized impact considering the average North Carolina teacher was absent about eight days each year. “Absences decrease when the accountability pressure turns on,” Gershenson said. That’s probably a good thing, considering the strong (and unsurprising) evidence that teacher absences harm student achievement, probably because students learn less when there’s a substitute. Click here to read the full article on The 74 Million. The following is an excerpt from an article written by Monica Scott, Grand Rapids K-12 education writer for MLive. The article appeared in MLive on May 20, 2016. Stocking Elementary teacher Rebecca Ophoff says she doesn’t ever want to feel like she’s plateaued, and a new program is helping her and other teachers develop new skills. A four-year, $2 million Steelcase Foundation grant to Education Trust-Midwest to provide greater support and coaching to teachers at five schools in the Wyoming and Grand Rapids districts. The plan is to build leadership and promote collaboration with principals to raise student achievement. “What I feel is occurring with this grant is that it is taking teachers that are ready to a new level and improving their practice,” said Ophoff, a fourth-grade teacher who is among a team five Stocking educators in the program. The Center for Excellence in Teaching and Learning, an arm of the Royal Oak-based advocacy group, Education Trust – Midwest, has a four-member team working with principals and teachers to achieve building and individual professional goals. Chad Tolson, director of the center, said each school has its own unique circumstances but all are high poverty, predominantly minority, with an at-risk population. “Overall, the biggest things we want to change is to move the needle in math and reading, create more highly effective model master teachers in the buildings, and increase parent engagement,” said Tolson. Click here for the full article in MLive. Last Tuesday, Treasury, Senate Fiscal and House Fiscal held a Consensus Revenue Estimating Conference where they reduced current-year revenue projections for the General Fund by $109.7 million and for the School Aid Fund $64.2 million. For next year, they dropped General Fund projections $75.4 million and School Aid Fund projections $83.8 million. As a result, the spending plans proposed to date will have to be changed. Click here for the full Michigan Education Update. 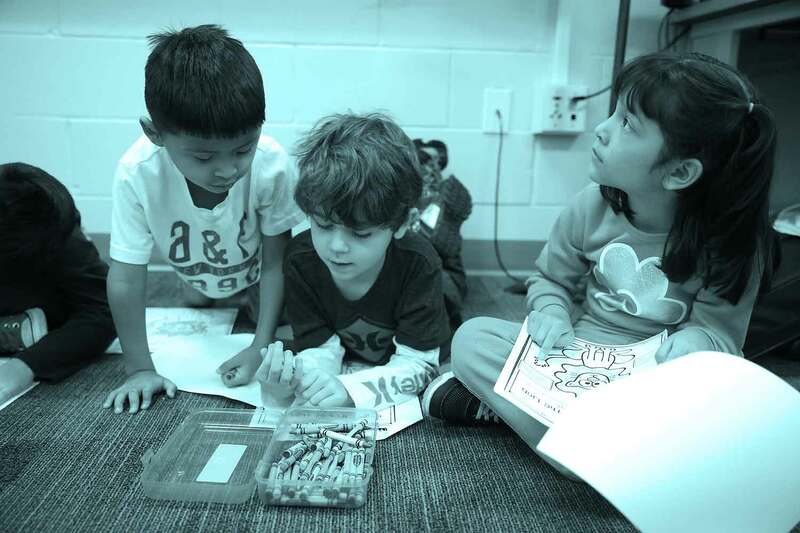 Michigan spent $80 million to improve early reading. Scores went down. 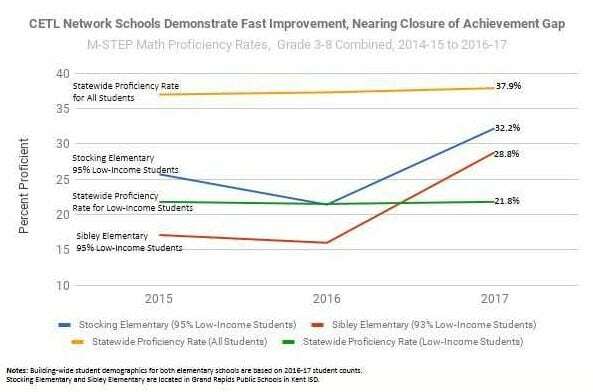 High-poverty schools in Grand Rapids and Wyoming, Mich., are showing dramatic improvements in student achievement.